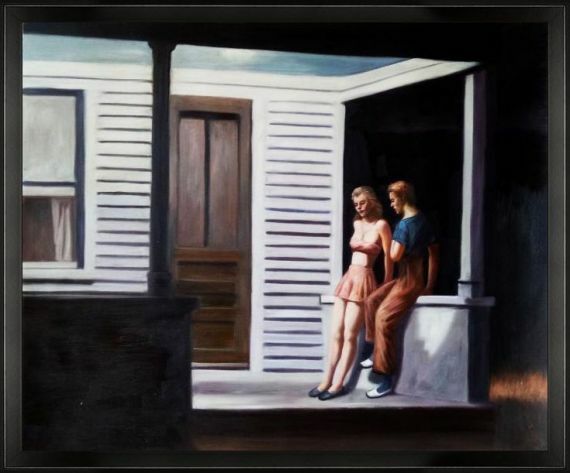 Interpreted and reinterpreted time and again, this intimate painting of a summer's eve is one of Edward Hopper's most popular creations. The American realist was famous for showcasing the alienation of both the modern individual and the objects around them. In this case, he uses light to show how a young couple is separated from the darkness around them. The old-fashioned porch is illuminated against the night, spilling only slightly onto the green grass. 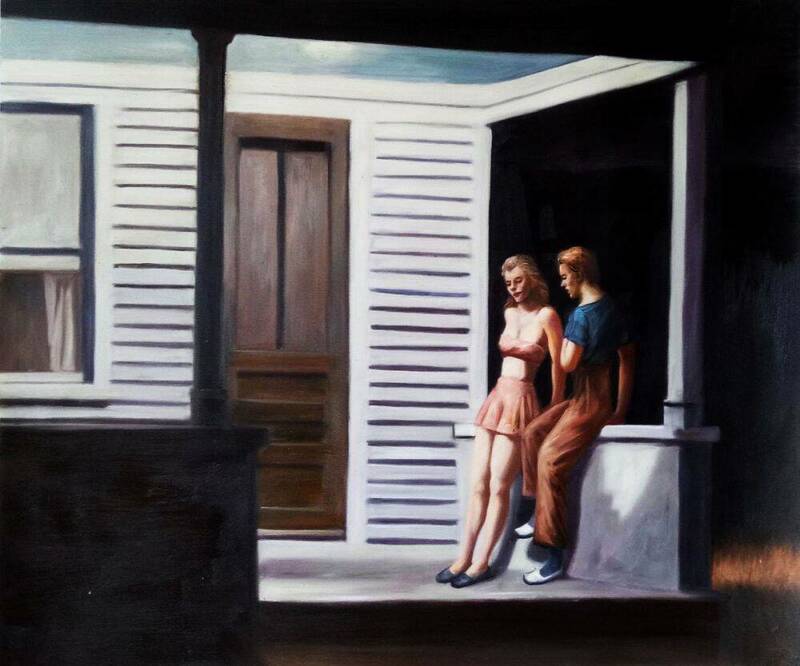 Hopper places the couple at the porch's railing, right on the edge between carefree innocence and harsh reality. By transforming a private scene into a public one, "Summer Evening" by Edward Hopper blurs the line between these distinctions. The man and woman are the subject of their own lives, yet insignificant to the world around them. The almost childlike nature of their attire and a subtle disconnect between them adds to the feeling of detachment in what should be a romantic moment. You'll find many layers in this summer scene that is sure to start a conversation.